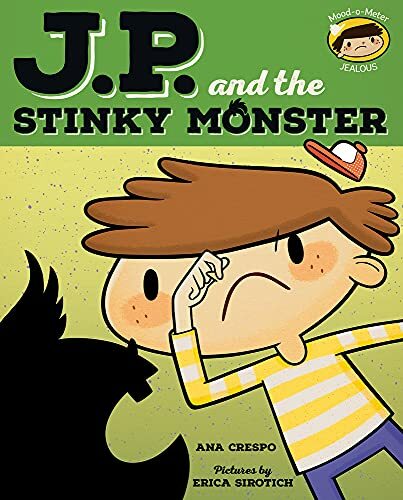 JP is excited to spend the day with Grandma, but his plans are derailed by the arrival of an unwanted, monstrous guest--a baby! This strange and stinky creature requires lots of Grandma's attention, and JP begins to worry that she will have no time to play with him. As JP's imagination runs wild, his jealousy builds. Will JP realize the day is better spent shared? Ana Crespo is originally from Brazil. Before becoming a children's book author, Ana worked as an academic advisor and as a translator. She holds a bachelor's degree in journalism and a master's in education. Ana lives in Colorado with her husband, two kids, and a variety of wildlife. Erica Sirotich is a children's book illustrator. She also runs a shop that creates paper goods and prints for children's rooms and nurseries. Erica lives in Florida with her dog.